Prizes: First place $500; 2nd and 3rd place, $250 each. Winning poems will be published on www.SplitThisRock.org, winners will receive free festival registration, and the 1st-place winner will be invited to read winning poem at Split This Rock Poetry Festival, 2014. Reading Fee: $20, which supports Split This Rock Poetry Festival, 2014. Details: Submissions should be in the spirit of Split This Rock: socially engaged poems, poems that reach beyond the self to connect with the larger community or world; poems of provocation and witness. This theme can be interpreted broadly and may include but is not limited to work addressing politics, economics, government, war, leadership; issues of identity (gender, sexuality, race, ethnicity, disability, body image, immigration, heritage, etc. ); community, civic engagement, education, activism; and poems about history, Americana, cultural icons. Split This Rock subscribes to the Council of Literary Magazines and Presses Contest Code of Ethics. Read it online here. Submit up to 3 unpublished poems, no more than 6 pages total, in any style, in the spirit of Split This Rock (see above). Simultaneous submissions OK, but please notify us immediately if the poem is accepted elsewhere. 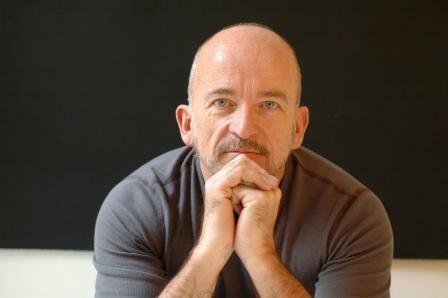 Mark Doty's Fire to Fire: New and Selected Poems, won the National Book Award for Poetry in 2008. He is the author of eight books of poems and four volumes of nonfiction prose including Dog Years, which was a New York Times bestseller in 2007. Doty's poems have appeared in many magazines includingThe Atlantic Monthly, The London Review of Books,Ploughshares, Poetry, and The New Yorker. Widely anthologized, his poems appear in The Norton Anthology of Contemporary American Poetry and many other collections. Doty's work has been honored by the National Book Critics Circle Award, the Los Angeles Times Book Prize, a Whiting Writers Award, two Lambda Literary Awards, the PEN/Martha Albrand Award for First Nonfiction and the Witter Byner Prize. He is the only American poet to have received the T.S. Eliot Prize in the U.K., and has received fellowships from the Guggenheim, Ingram Merrill and Lila Wallace/Readers Digest Foundations, and from the National Endowment for the Arts. In 2011 Doty was elected a Chancellor of the Academy of American Poets.